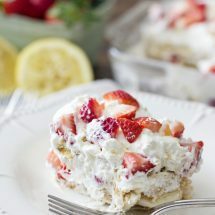 This Strawberry Lemonade Ice Box Cake is a perfect springtime treat, using lots of fresh ingredients like strawberries and homemade whipped cream. Until this beautiful dessert you see here, I had never had an ice box cake. I always imagined some soggy mess and it never sounded all that appealing to me. 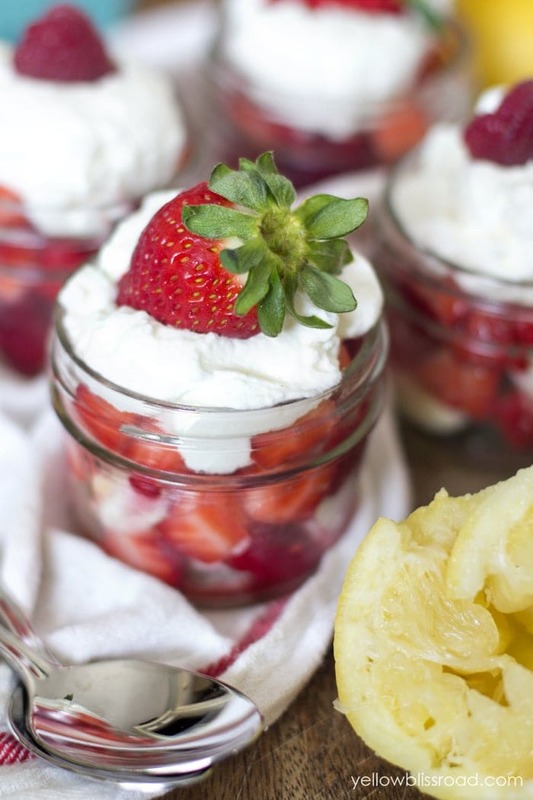 However, since I had an over abundance of lemons and strawberries, I was brainstorming ideas for desserts I could make. 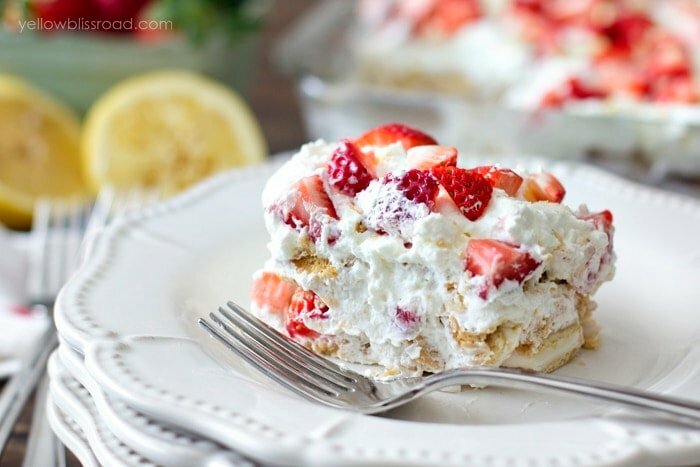 I recently made Lemon Whipped Cream and knew that would be a perfect filling for a cake. But I didn’t feel like baking. 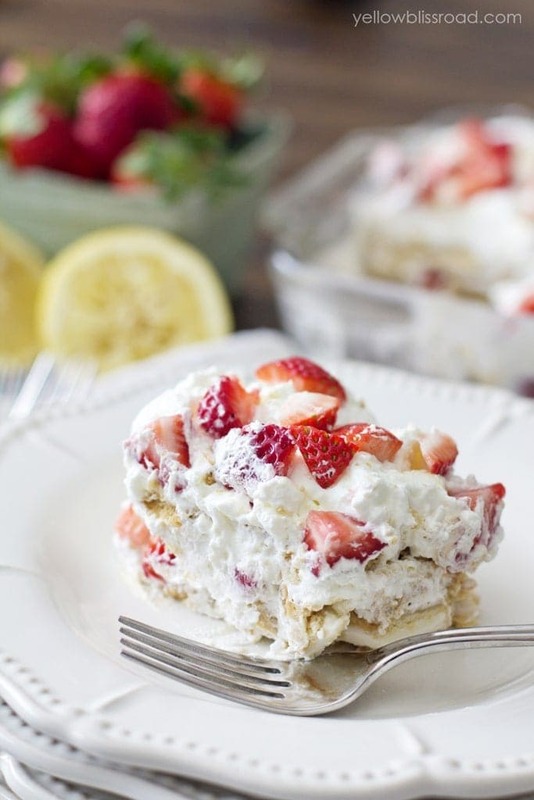 So the Strawberry Lemonade Ice Box Cake was born! The cake starts with a layer of Golden Oreo Cookies soaked in lemonade. Now I know I remember seeing Lemon Oreos last year but I haven’t seen them yet this year. If you find them, they would be a perfect substitution. Anyway the next layer is Lemon Whipped Cream. 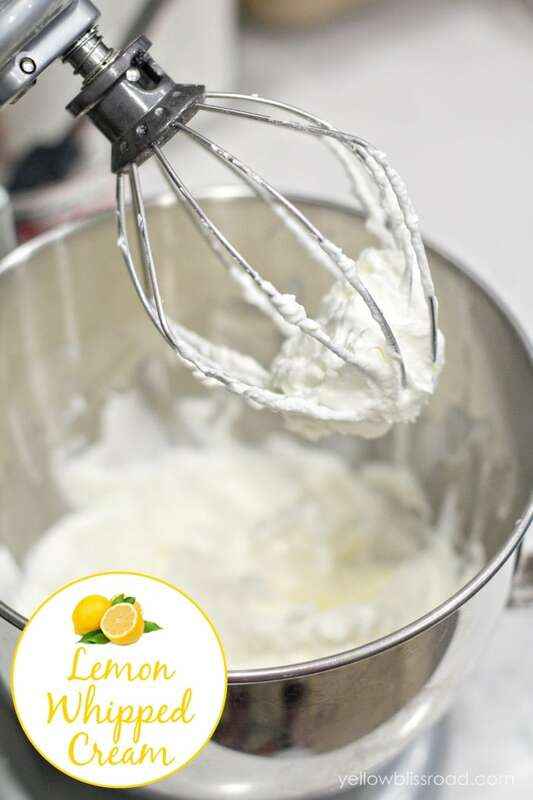 If you don’t want to make your own whipped cream, Cool Whip would work fine; just add some lemon juice to it. Next is strawberries that have been tossed with just a little bit of white sugar. You want to really bring out all those juices. 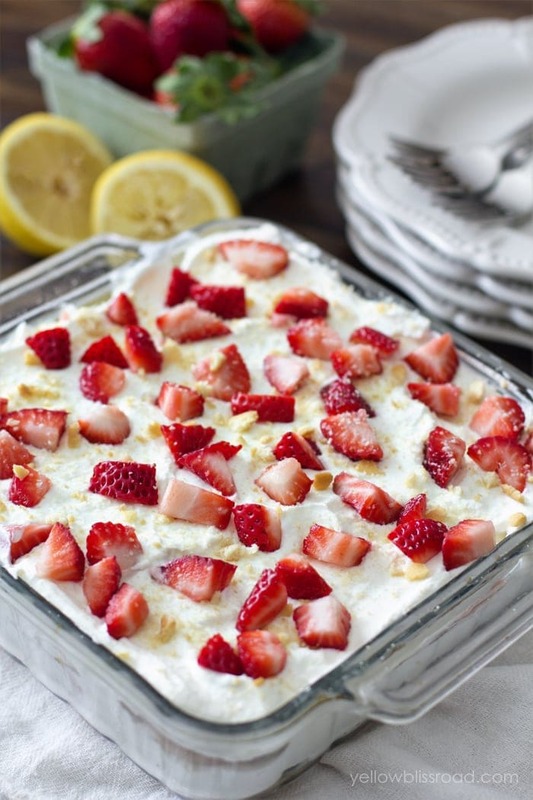 Make the Lemon Whipped Cream. Chill the bowl and beaters of your mixer for 30 minutes in the freezer or fridge. Pour heavy cream, powdered sugar and vanilla in the bowl and whip on medium high for about 2 minutes, until fluffy and thick. Stir in lemon zest and half of the lemon juice. Taste, and add more lemon juice as needed. For the cake, begin by dipping about half of the Oreos in lemonade and lining them up in the bottom of an 8"x8" pan. Layer whipped cream and strawberries, then Oreos again, and whipped cream and strawberries. 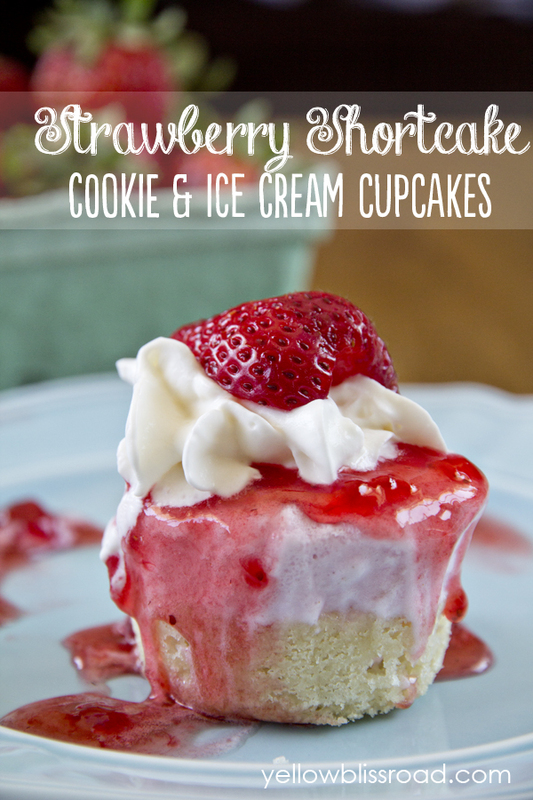 Finish with a sprinkling of strawberries on top. Crush the remaining Oreos and sprinkle on top. Refrigerate overnight. Slice and serve cold. For all desserts go HERE and all recipes go HERE. Just curious, would you soak the lemon oreos, as well, or do you just do this since you used golden oreos? I soaked them to help get the Oreos mushy, which is what you need for this recipe. 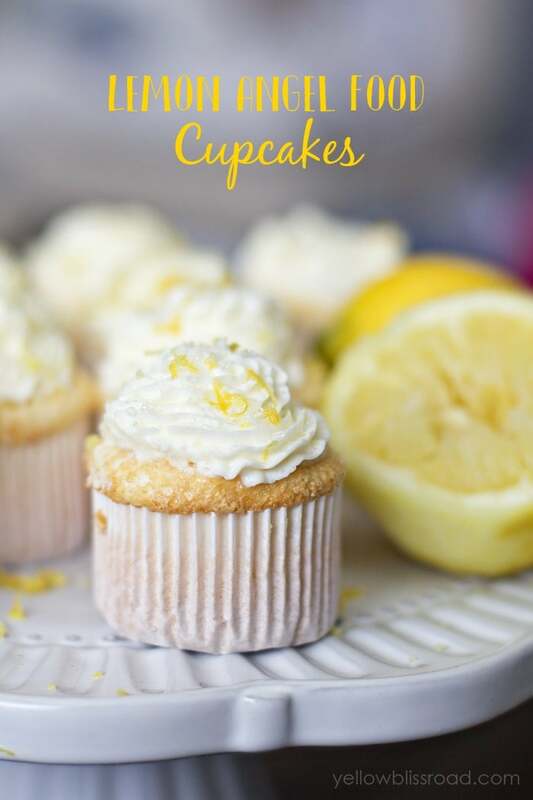 Using the lemon cookies would help to enhance the lemon flavor. On the strawberry lemonade cake do you also dip the 2nd layer of Oreos in le.onade or just the first layer? Hi Eileen, this is an icebox cake so there isn’t any butter or oil. It’s made with cookies and whipped cream. 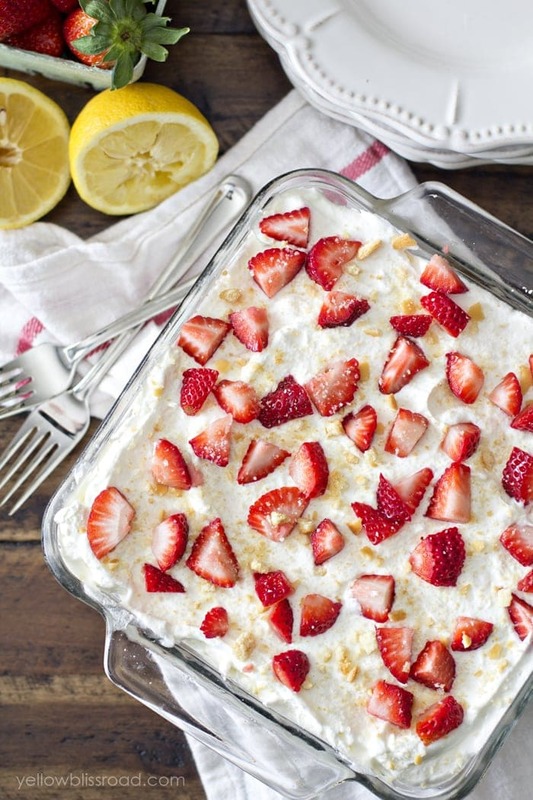 I have to say, I don’t think I’ve ever had an icebox cake, either! My mom made an ice cream dessert that had oreos but there wasn’t ever cake involved. Love this recipe, Kristin! Must try soon! 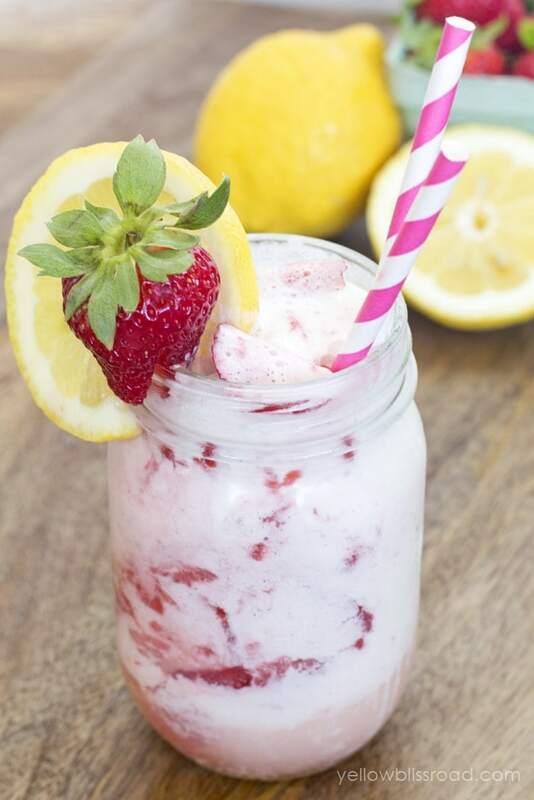 This looks so yummy and perfect for Summer! What kind of lemonade do you soak the cookies in? Made from concentrate? The kind you make from powder? Thanks! I used a bottle lemonade from Costco.